First it was Jessica Biel, then it was Joan Smalls, Daisy Ridley and Gigi Hadid who were all chopping off their hair to frame their faces with perfect bangs. Now it’s officially the favourite hairstyle in Hollywood, with more female stars sporting fringes than not. And while it’s not a new ‘hair trend’ as such, it’s definitely gaining momentum. Yes, celebrities such as Taylor Swift, Zooey Deschanel and our Brit fave, Adele have always made a case for the fringe, but it seems that every celebrity in Hollywood is reaching for their kitchen scissors (ok, they’re probably getting it done professionally, but if they were us, they’d be cutting our own). A couple of weeks ago, Selena Gomez debuted shorter hair with wispy bangs and shortly after, Ariana Grande caused a stir on Instagram by posting a photo of herself with thick bangs. 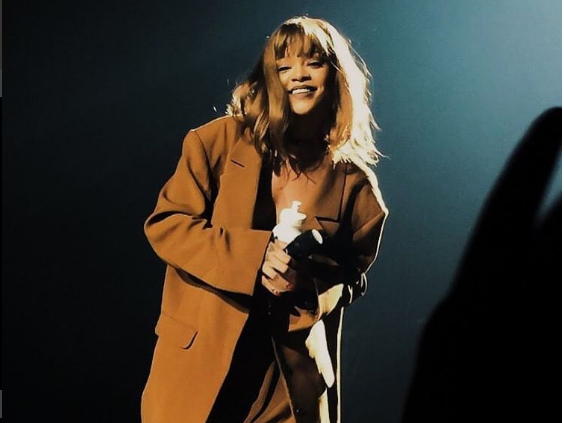 Then on Wednesday, Rihanna surprised fans at her Anti World Tour concert in Malmo with a lustrous, reddish hued medium hairstyle, complete with a blunt, choppy fringe. And everyone had a lightbulb moment – 2016 is the year of bangs. Considering there’s a style to work for every face shape, every hair colour and every personal preference, it’s not hard to see why VIPs just can’t resist going for the front chop. But, does this mean it’s surpassed the popularity of the LOB (which seems to still be going strong, especially after Cara Delevingne made everyone’s jaw drop with her freshly lopped ‘do at the Comic Con convention in San Diego)? The jury is still out, but until then, we’re getting scissor happy with both looks.